This is Alfie, 18 months and his half brother Barney 3 months. They get on like a house on fire and love to snuggle up as well. 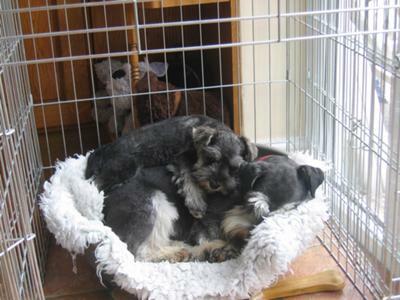 Hi jo what little stars great photo i think i need too buy another mini schnauzer they are addictive have fun with them. 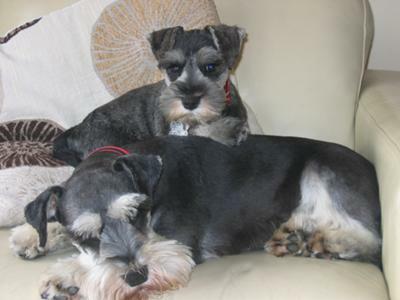 Barney and Alfie are just adorable! Thanks for making me smile today.